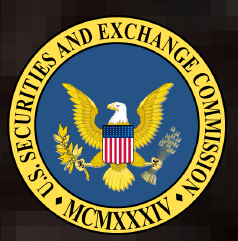 The Securities and Exchange Commission today announced the agenda and panelists for its February 19 roundtable on ways to improve the proxy voting process. The roundtable, announced in January, will begin at 9:30 a.m. and will be divided into two panels. Participants on the first panel will focus on the state of contested director elections and whether changes should be made to the federal proxy rules to facilitate the use of universal proxy ballots by management and proxy contestants. Participants also will discuss the state law, logistical, and disclosure issues presented by a possible universal proxy ballot process. Participants on the second panel will focus on strategies for increasing retail shareholder participation in the proxy process. Participants will discuss how technology – by providing better access to information or easier means of voting – might affect retail participation. In addition, participants will discuss whether the format of disclosure could be improved to increase the engagement of shareholders and how the mechanics of proxy voting could be improved to affect retail shareholder participation. Donna Ackerly, Senior Managing Director, Georgeson Inc.
Darla Stuckey, President and Chief Executive Officer, Society of Corporate Secretaries and Governance Professionals, Inc. The roundtable will be held in the multi-purpose room of the SEC’s headquarters in Washington D.C., and is open to the public on a first-come, first-served basis. The event also will be webcast live on the SEC website and archived for later viewing. Members of the public are welcome to submit comments on the topics to be addressed at the roundtable. Comments may be submitted electronically or on paper; please use one method only. Any comments submitted will become part of the public record of the roundtable and posted on the SEC’s website. Use the SEC’s Internet submissions form or send an e-mail to [email protected]. Send paper submissions in triplicate to the Office of the Secretary, Securities and Exchange Commission, 100 F Street N.E., Washington, D.C. 20549-1090. This panel will focus on the state of contested director elections and whether changes should be made to the federal proxy rules to facilitate the use of universal proxy ballots by management and proxy contestants. The panel also will discuss the state law, logistical and disclosure issues presented by a possible universal proxy ballot process. Do current proxy rules limit shareholder options in contested elections, and if so, how? What is meant by the term “universal ballot”? Would the use of universal ballots impact the outcome of election contests and if so, how? What is the experience with universal ballots in other jurisdictions? Are there alternatives to universal ballots? If the SEC considers proposals to change the proxy rules to facilitate the use of universal ballots, should the use of universal ballots be optional or mandatory? Should universal ballots be limited to short slate election contests, or contests that would not result in a change in control of the board of directors? Or should they be available in all election contests? Who should be eligible to use a universal ballot? Should shareholders soliciting in opposition be required to file and disseminate their own proxy statements and proxy cards in order to use a universal ballot? Costs, risks, and technical limitations of universal ballots. What should the universal ballot look like? Should both sides be required to use identical universal ballots or should each side be permitted to tailor the form of the universal proxy? What should the disclosure in each side’s proxy statement look like? What changes to the format of disclosure can be made that could increase retail participation? Would changes in the mechanics of voting affect retail participation? What are the legal limitations and what are the practical implications of client directed voting/advance voting instructions? How could such a system be implemented to ensure that investors are making informed voting decisions and that voting is accurately reflecting their views?